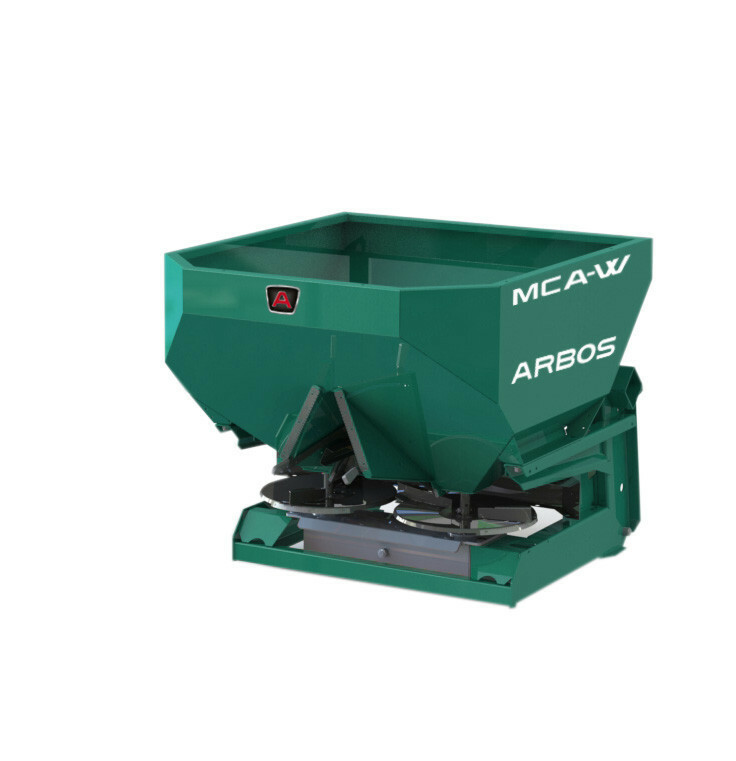 The MCA-W fertilizer spreader is a compact, accurate machine. It is used for distributing granular, powder and pellet chemical fertilizers. The particular shape of the hopper limits the max. clearance width to 1.10 meters, thus allowing the fertilization of crops with extremely narrow planting layout. The OPTIONAL adjustable conveyor allows spreading widths ranging from 2 to 5 m. The spreader unit, nuts and bolts, and opening discs are made from stainless steel to prevent corrosion and prolong the life of the product. Standard hydraulic actuators allow to stop the spreading on one side of the machine (right or left) when working along the edges of the field or near sensitive areas (waterways or roads).